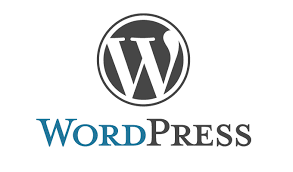 The WordPress content management System is one of the most widely used globally. It's popularity has been driven by its relative ease of use and an architecture that does allow new functionality in the form of Widgets to be added. WordPress at its heart is a Blogging website, it's structure is still very much focused on the features associated with a Blog, Posts,comments etc. WordPress is an open source platform, you own both the content and the underlying platform your website is displayed on. Compared to proprietary software solutions this is a significant feature that WordPress shares with other open source CMS like Drupal and Magento. Allow you to control the level of access a user or group of users can have on your WordPress website. Administrators manage the site, editors work with content, authors and contributors write that content, and subscribers have a profile that they can manage. WordPress allows you to create a draft of your new content, view it as it will appear when live, and once you are happy allows you to publish the content immediately on your website. The WordPress Content Management System, allows you to add content through a powerful WYSIWYG (what you see is what you get) editor. The interface allows images to be uploaded. links to be created and styles to be controlled of all content. Word Press offers a library of thousands of plugins and widgets that allow you to extend core functionality. Some plugins are free while others are paid for.